This is a guest post by Terence Carter. Terence is one half of the globetrotting writing and photography team behind the wonderful GranTourismo project. Terence is an experienced travel photographer and his work can be seen at TerenceCarterPhotography.com. After almost 20 years of travelling together, it wasn’t until last year, as part of our HomeAwayUK sponsored grand tour of the world – an experiment in slow and sustainable travel, experiential travel and local travel – that my travel writer-wife and I went on our first safari in Kenya. 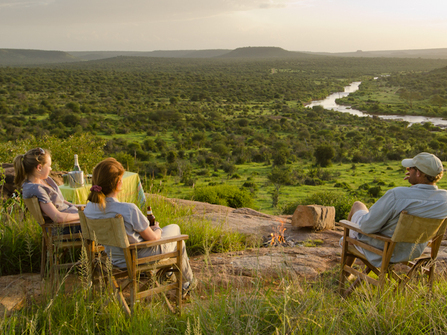 From our base in a holiday rental in Diani Beach on Kenya’s southern coast, we did two safaris, to the Masai Mara and to Tsavo West – fantastic! 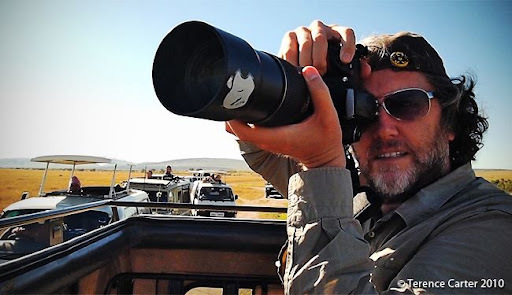 I’d photographed wildlife before, mainly for travel books we’d written in Australia, Asia, and, to a lesser extent, the Middle East, but no matter how long you’ve worked as a photographer, there’s nothing that prepares you for shooting the Big Five in Africa. There are two approaches to take when making photographs on an African safari. Go all out to nab perfectly framed photographs of the Big Five at dawn or dusk or just make some photographs that give you some memories of what is for many a once-in-a-lifetime experience. This is a guide to going all out. #1 Going all out means having two DSLR cameras and good lenses (not cheap zooms) ranging from 14mm to at least 400mm. And, no, a lens that zooms from 14mm to 400mm is not going to make fantastic photos. A wide angle lens is great to capture the wonderful landscapes you’ll see, and, at the long end, because the (good) safari drivers try to keep a safe distance from the animals, you’ll need a telephoto lens. Anything less than 400mm and that lion will be the size of an ant in the frame. Unless your driver has an unexpected encounter. And that unexpected encounter is why you need a second camera with a wider lens on it. #2 The cameras have to be great in low light (i.e. be capable of producing quality shots at 3200 ISO) because you’ll be shooting the bulk of your best photographs when you should be sleeping or cracking a beer. Why do you need to use such high ISO settings? It’s not just because of low light at dawn and dusk, when you’re using a long lens you need to shoot at a faster shutter speed because any camera shake is multiplied by having a long lens. And you don’t want a blurry rhino. A commonly recited rule is that your shutter speed should be at least twice that of your lens length – which means that if you’re shooting a 400mm lens your shutter speed should be at faster than 1/800th of a second. #3 And speaking of speed, you’re going to need cameras that can shoot several frames a second (at least five) to capture that burst of animal action, as well as know how to keep focussed on the action. For this you need to be able to track focus, a mode where the camera constantly refocuses, often called ‘servo’ or continuous focus. If you don’t know the difference between single-servo focus and continuous focus (or know where to change it on your camera), do some reading before you hit the ground or better still, go practice by trying to photograph birds in flight and you’ll soon get the idea of why continuous focus is a good thing. #4 Finances permitting, try to hire your own guide when you go on safari. A professional guide will be used to working with photographers – both amateur and professional – and will do his best to make the most of every opportunity. Both guides we used knew just where to position the vehicle for the best angle and had such great knowledge of the animals that I captured photos that photographers in other vehicles in the area didn’t get a chance to. #5 None of this is helpful, however, if you’re bouncing around in a vehicle that is difficult to shoot from, such as a converted delivery van that some guides use. You need a 4WD with an ‘open’ passenger area so that you can easily move from one side of the vehicle to the other to take your photographs and have your gear at hand. Finally, don’t forget to enjoy yourself. Unless you’re doing this for a living, don’t get too hooked up in the whole Big Five thing, the wildlife photographers stay there for months to get those classic photographs.